The deaths of six drug addicts within a week happened in the ‘north of the county’, which could mean they could have come from the Mansfield, Ashfield and Worksop area. Public health officials in Nottinghamshire issued a health warning earlier this week following the spate of deaths. The batch of the addictive drug being circulated was three times stronger than normal, while all six who died were part of a drug rehabilitation programme. Potential users as well as hospitals, pharmacies, GPs and the police have all been made aware of the risk. Chris Kenny, director of public health for Nottinghamshire, said: “The local availability of higher purity heroin, which has the high risk of causing death, is a significant health concern and we are working with partners to alert potential heroin users of these dangers. 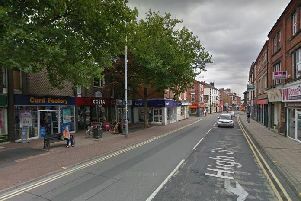 “The cause of the tragic deaths of six drug users in the county in the last week is currently being investigated by Crime Reduction Initiatives, which provides drug support services on our behalf, and is subject to a Coroner’s inquest. “The deaths are in no way linked to the recommissioning of the council’s drug support service in the county. A spokesman for CRI said: “We are deeply saddened by the news that a number of our service users in Nottinghamshire have passed away. Our thoughts are with their family and friends at this extremely difficult time. “Recovery from heroin dependency can be a difficult and complicated process and unfortunately some people may experience a ‘lapse’ on their journey. “If that happens their tolerance for the drug is lower which may create a risk of overdose. “This risk is considerably heightened when the heroin in question is of a much higher purity, which is what has been suggested in this situation. Our service supports anyone across Nottinghamshire who is affected by drugs and/or alcohol.